To celebrate both CAMRA’s ‘Mild Month’, and in support of Grown in Totnes‘ crowdfunding appeal to raise the money for equipment to process locally grown oats locally, we brewed ‘Black Oat Mild’, created using Black Oats grown just outside Totnes. It was launched at the 2015 Totnes Local Entrepreneur Forum. Very good it was too. 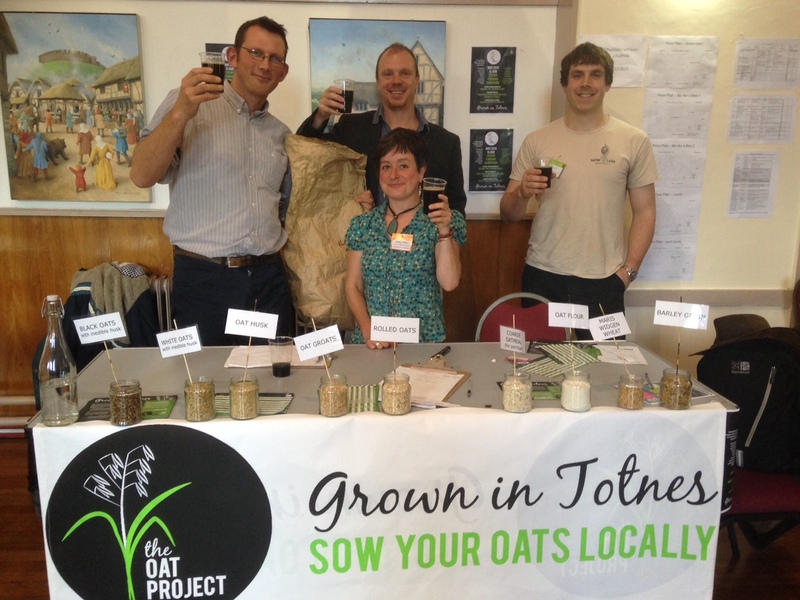 The New Lion team (back) with Holly Tiffin (front, centre) of Grown in Totnes, celebrating with pints of Black Oat Mild. 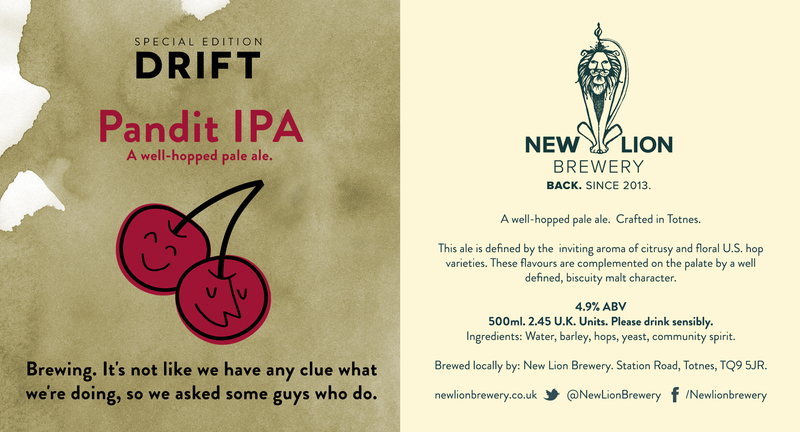 Created with South Devon Chili Farm (SDCF), this variation on our Pandit IPA is very drinkable. But beware! A heady cocktail of Aji Lemon and Trinidad Scorpion chillies give this beer a sting. 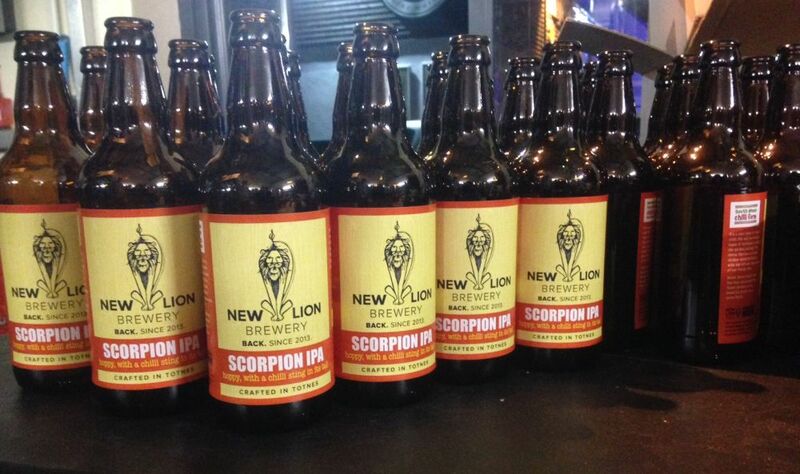 Available in bottles through SDCF. 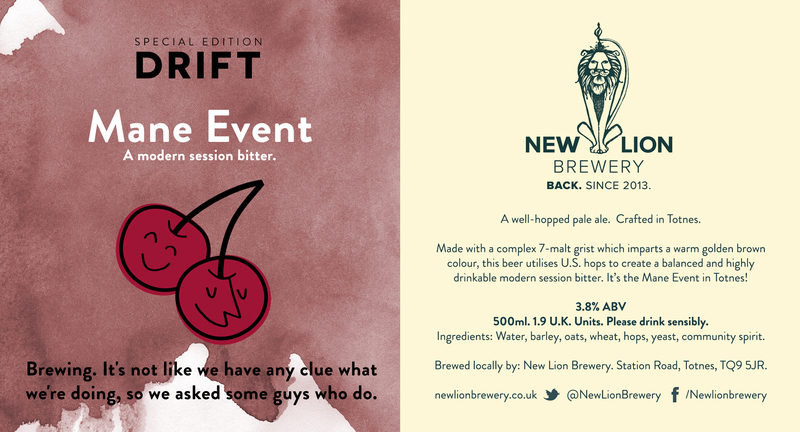 Brewed for the 2014 Totnes Local Entrepreneur Forum, Circular Stout was infused with oyster mushrooms produced by GroCycle, grown on coffee grounds mixed with our spent hops and grains. The circular economy in a glass! 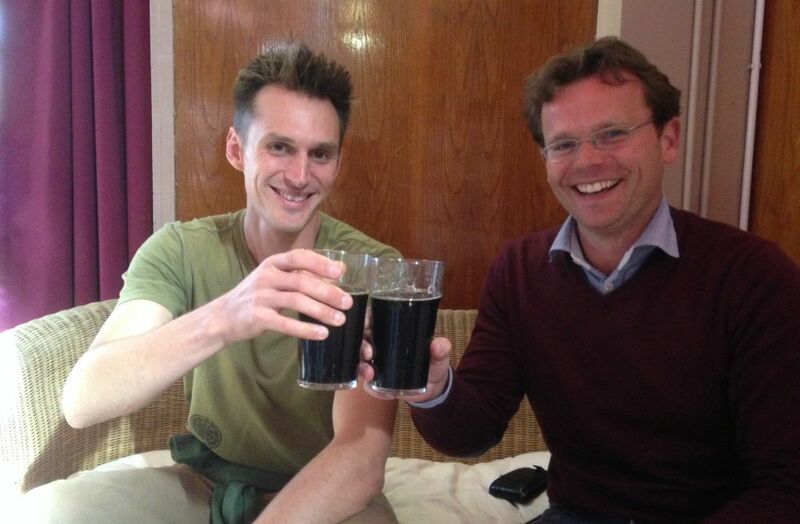 Adam and Eric of GroCycle with pints of ‘Circular Stout’ at the 2014 Totnes Local Entrepreneur Forum. We collaborate not just with food businesses! To celebrate Record Store Day, we created these limited edition bottles that were available in the store on Record Store Day. 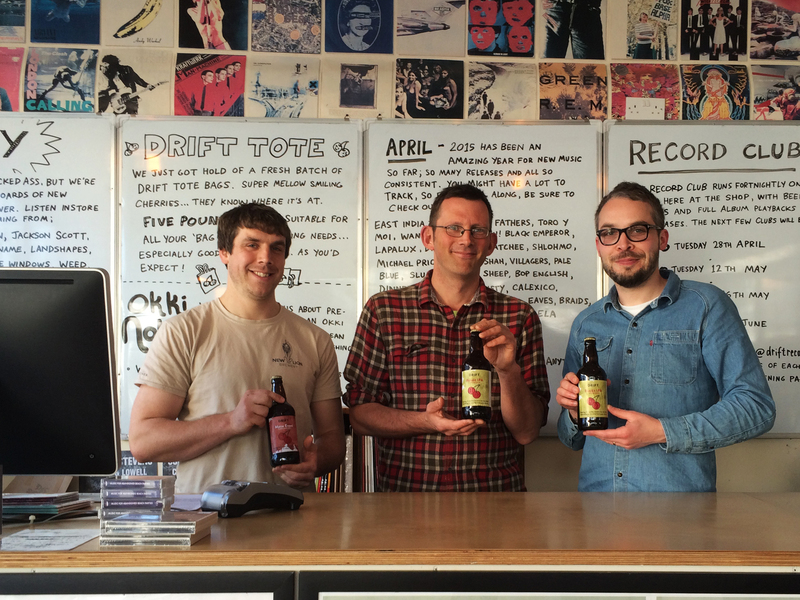 Mat Henney and Rob Hopkins of New Lion Brewery with Rupert Morrison of Drift Records. In 2014 we created a beer made with sweet chestnuts from the wonderful Agroforestry Research Trust on the Dartington Estate. It never made it into bottles or had a label designed for it, but it was very tasty.